Samsung Galaxy Ace J1 is a mid-range device that comes with some fine specifications. The best part about this device is that it comes with the latest Android 5.1.1 software. Even though the device misses some fancy hardware specifications that we see in devices nowadays, the Galaxy Ace seems to have good software support from Samsung. If you have for any reason rooted your device or modified the system and could receive OTA updates, then we will guide you to restore the latest stock firmware on your device. If you own this device, then this tutorial will help you get your firmware upgraded to the latest one so far. This will take your firmware to build number J110MUBU0AOH1. To restore to stock, you need to install the complete firmware onto your device. This will restore everything to stock including the stock recovery. 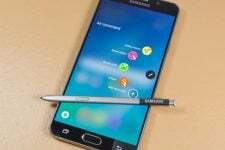 So any changes to your device like root, custom recovery and others will be lost. As it will perform a clean install, all your apps, data could be lost. A backup is highly recommended. If you are new to the process then don’t worry, we have got you covered. To install the firmware, go through all the procedure carefully and make sure you have everything setup as per the requirements. 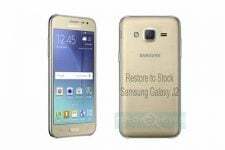 This stock firmware is compatible with only Samsung Galaxy J1 ACE SM-J110M variant. Make sure you have the perfect device and variant. This tutorial is suitable only for Samsung Galaxy J1 ACE SM-J110M. This will install J110MUBU0AOH1 Lollipop 5.1.1 based firmware on the device. Make sure you have fully charged your Galaxy Tab 4 or at least up to 60% of the battery. Download the 7zip software to extract the zip file to get the firmware file which is in .tar.md5 extension. It is recommended that you backup your apps, contacts, messages, photos, videos and any other important data stored on the internal storage of your phone. Get some of our useful backup apps from the DroidViews archives. This will help you backup your device data easily. 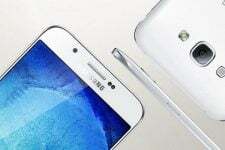 Make sure you have downloaded the Lollipop firmware for your Galaxy J1 ACE. If it is a zip file, extract it on your PC to get the firmware file with .tar.md5 extension. Download the required Odin.zip file and extract the file on your PC. You will get the Odin3_v3.10.7.exe file. Open it as the administrator to get to the Odin window. Connect your Galaxy J1 ACE to the computer using the USB cable. When you connect the device, the ID: COM port on Odin will turn Blue. You’ll also see“Added! !” message to indicate a successful connection. Try reinstalling the Samsung USB Drivers. Try changing the USB cable and connecting to other ports. Now click the AP button on Odin and add the firmware file (J110MUBU0AOH1_J110MTFG0AOH1.tar.md5). Before you proceed to firmware installation on Odin, make sure everything is set according to the screenshot. Now, click the Start button on Odin to start installation which might take a while for the firmware to install. Once you get a PASS! message on Odin, your device will restart. It’s the green signal that indicates a successful installation. In case you get a Fail! message, make sure you go through all the requirements carefully. If you come across bootloop, then this may occur sometimes when you have installed new firmware. To solve this, remove the battery and then put it back again. Boot to Recovery by holding Volume Down + Home + Power. In Recovery, select “wipe data/factory reset” then select “Yes” This will delete all user data. Now Select Reboot to System. If you want a detailed tutorial for these steps, head over to the below link. can i do this with my samsung galaxy j1 SM-J100ML? can i update J1 ACE SM-J110H with this method? Is there any Firmware update for Samsung J110F Duos?